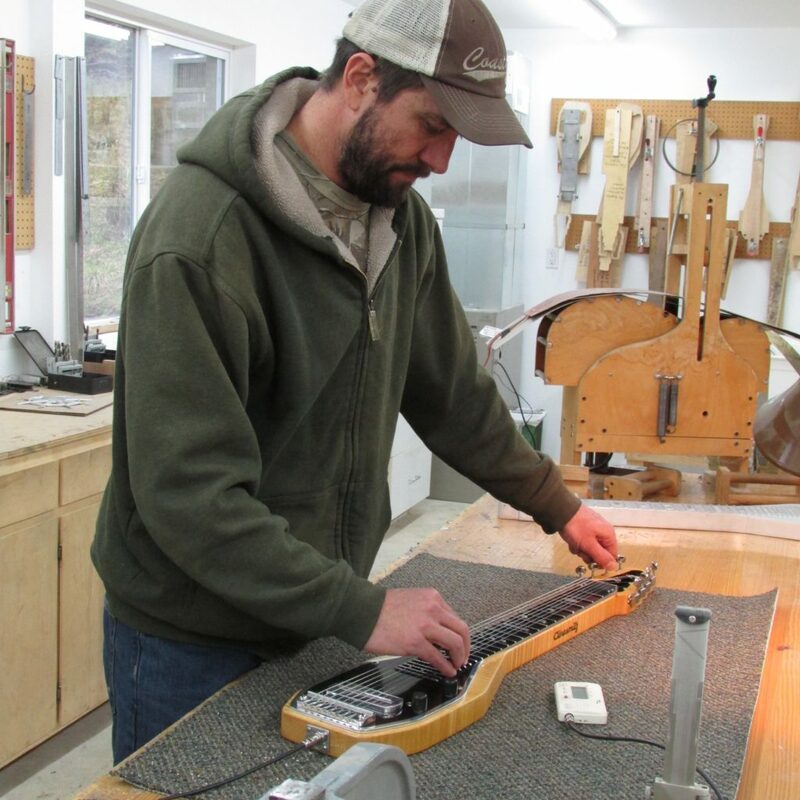 Pacific Northwest luthiers, steel guitars, Paul Bigsby… these are a few of our favorite things, so, really, how did it take us so long to reach out to Todd Clinesmith? 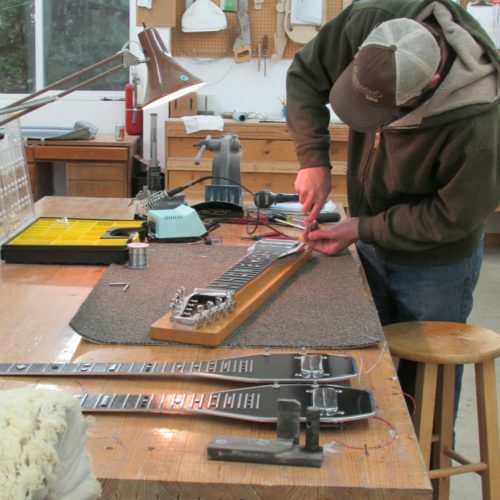 Todd’s been building resonators, Hawaiian guitars, laps and pedal steels for 20-plus years now, hewing to a distinctly Old School aesthetic, winding his own pickups, and, recently, almost literally picking up where Paul Bigsby left off. His instruments are gorgeous and marvelous, and if we can ever get our blocking technique in order you can bet we’ll end up on his waiting list. Todd Clinesmith: Right now, I have a batch of five lap steels on the bench that are close to completion. Three different models, all with my Paul Bigsby pickup. 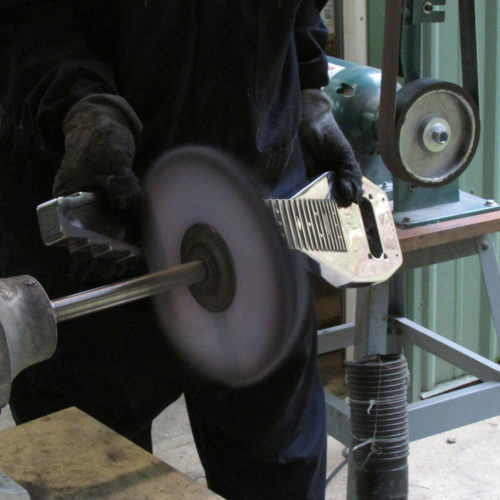 I make the pickups with P.A.’s patterns, some NOS parts and wind them to spec. On the waiting bench, I have the sides ready to bend for four resonator guitars: two koa instruments, one quilted mahogany, and the other a Madagascar rosewood back and sides with an Adirondack spruce top instrument. Three of the steels are my Joaquin 8-string models, which are based off of Joaquin Murphey’s 1948 Paul Bigsby D-8 guitar, though these are single neck versions. I also offer these in double neck and with 6-, 7- and 10-string options. Though most of my sales are single 8s with single 10s not too far behind. 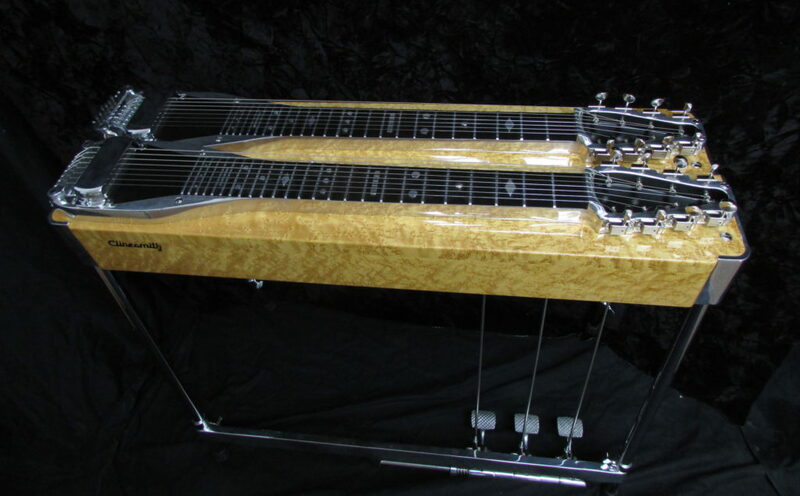 They are a long-scale steel guitar, with a 24.875″ scale length. The pickup is mounted to the polished cast aluminum top, which is mounted to a Curly Rock maple body. Number 4 on the bench is what has been referred to as a “plank steel.” I don’t care for that name, but some customers started calling it that, and I guess it stuck. It is based of a late-‘40s/early-‘50s Paul Bigsby single-neck guitar. Living legend Billy Robinson played one on the Grand Ole Opry back in the day. He was the most famous player to play that style of Bigsby guitar. It’s a cast aluminum neck, like on my console steel guitars, mounted to a deck of Birdseye or Eastern Curly maple. This one is a 10-string with a 24.5″ scale. 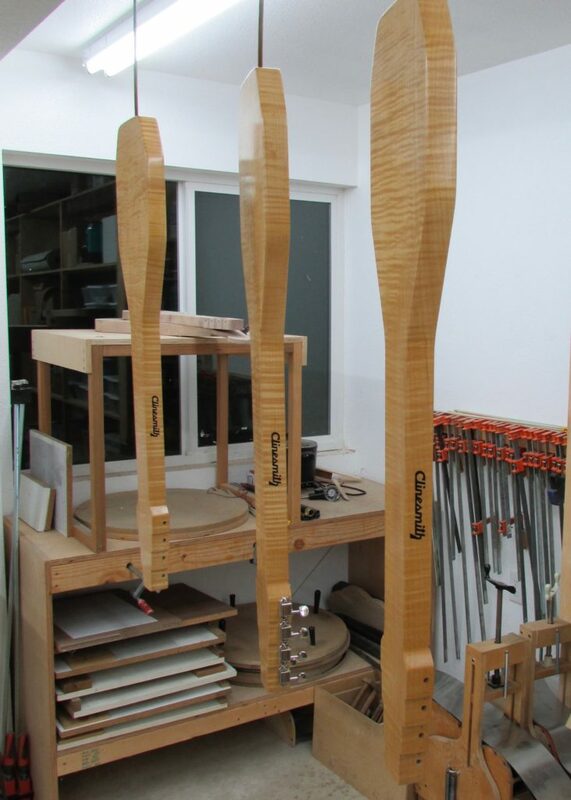 I have built these as double necks as well. I referred to the double necks as a P.A. (Bigsby) meets Leo (Fender). They are kind of a Paul Bigsby guitar on a Fender Stringmaster style body. Of course with Birdseye or Curly maple. The fifth steel in the batch is one of my latest models. 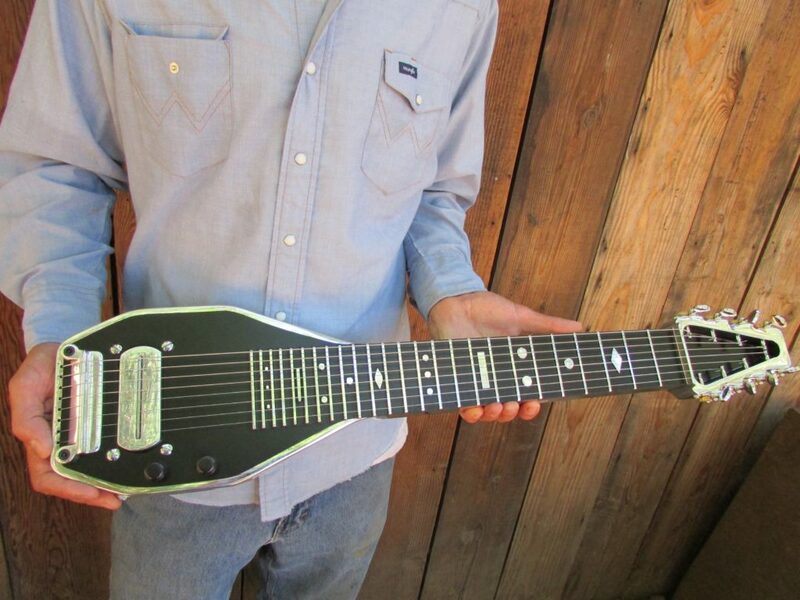 It’s my short-scale Cast Aluminum Clinesmith Lap Steel (8-string). It’s a hollow, cast guitar, polished out to a shine. These things sustain for days. That’s kind of a cliche term, but they really do hold a note at an even plane for about as much time as a player would need. I have had some guys tell me they are leaving their volume pedals at home because they do not need ‘em to hold that note out there. I only offer these as 8-strings, but there is a 24.875″ or 22.5″ scale model option. This is my only option for a short (22.5″) scale guitar. I had a lot of requests for short scale steels, so this is my answer to the requests. I’m really proud of these guitars. They took almost two years from designing to getting the first finished guitar. It was a long haul. I redesigned the guitar a few times to get it sonically where I wanted it. TC: In my early 20s I was really into early American craftsmanship, not that I was good at it. I had all of the Foxfire books, and I would make some of the items they had in the books. In one of the books they had an article on making dulcimers. I don’t remember exactly, but somewhere in the book it said if you wanted the full size plans send a dollar or a buck-fifty and they would send them to you. The books were written in the late ‘60s and this was around 1992. I sent in the money thinking the service was long gone. But sure enough, a few weeks later they sent it to me. I built a few of these. They were somewhat crude, but I had limited tools and skills. 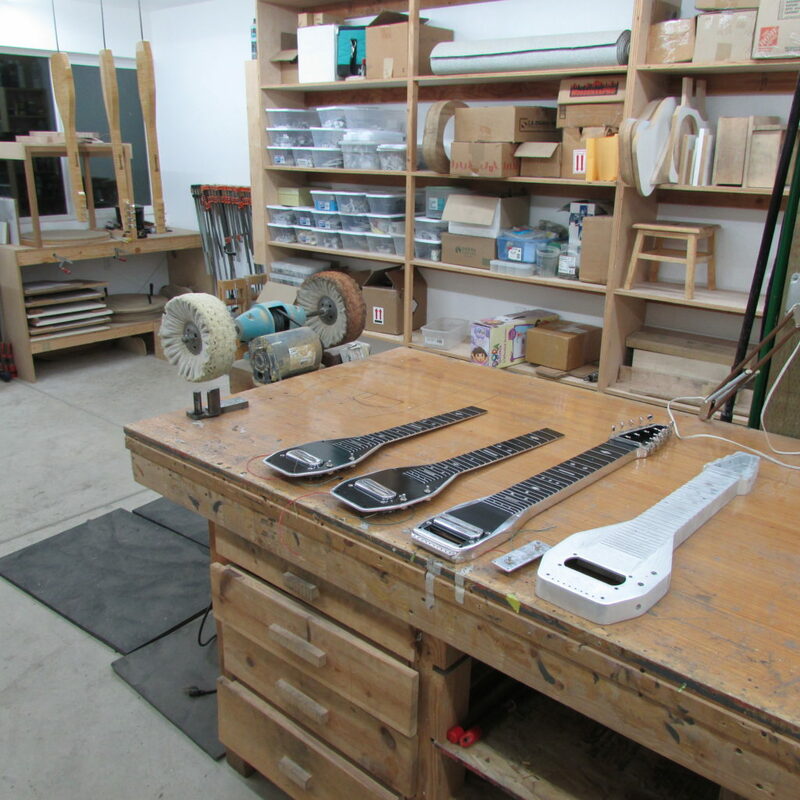 From that time on I obsessed about making a guitar. I thought about going to the Roberto Venn School of Lutherie. Money was always tight and I figured I could slowly invest in tools instead. I started acquiring more tools and found a copy of the old Irving Sloan book, Classic Guitar Construction, at a used book store. The book had the basics in there, and he used a limited source of tools, which worked for my situation. 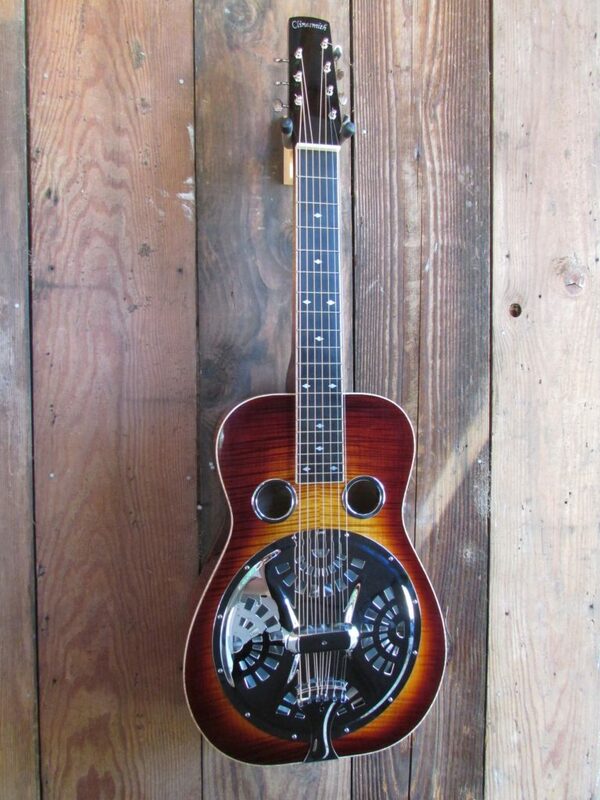 As a Dobro player I decided to give building a square neck resonator guitar a shot. It took about a year to complete in my spare time. The next year I built a few more, and the following year a few more. The first four guitars were pretty crude. I learned from my mistakes. By guitar number 5 or 6, I had a very nice sounding instrument with acceptable craftsmanship. I sold those guitars at or through Wildwood Music in Arcata, California. Luthier Phil Crump out of Arcata was a big help on teaching me the finish technique. I did some work trades with him, for teaching me the art of spraying. 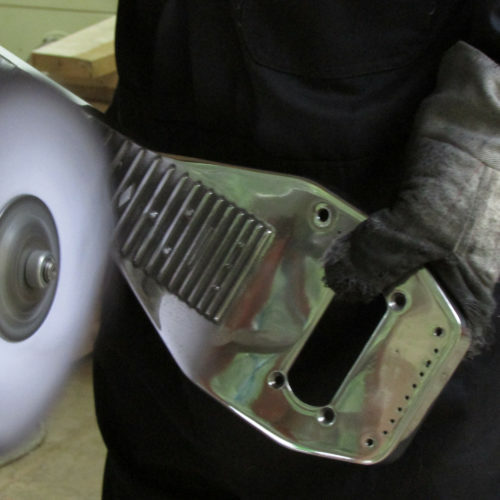 There were only a handful of guys making spider bridge-style resonator guitars at the time. Most builders had a decent wait list and a good quality square neck was hard to find. I rented a shop in Arcata and started building a batch of four instruments. When I got those to the spray booth phase of the build, I started another four. I brought the first four instruments to the Grass Valley Bluegrass Festival in 2001. Luthier Michael Lewis hosted the “Luthier Pavillion” and he rented me a table. I sold a few instruments there and had a chance to talk shop with some great builders. My wife and I probably went to every bluegrass festival in California that year, showing instruments, making friends and playing music. By the end of 2001 I had a decent wait list and I’ve kept busy ever since. I was really lucky to get into it when I did. 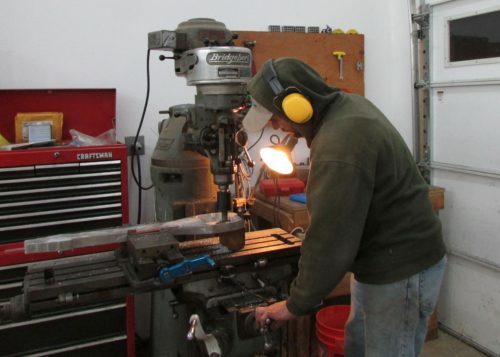 TC: My shop is located on our property in Idleyld Park, Oregon, at the end of probably one of the worst private dirt roads in Douglas County. But I love it. I do not leave too often. 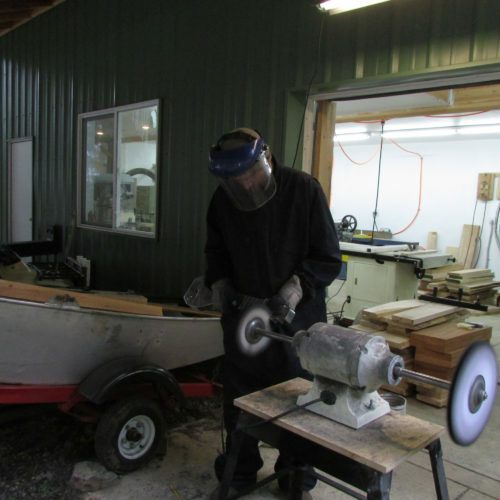 We’ve been on the property about seven years now and finished the shop about four years ago. I rented a nice sized shop in Glide, Oregon, before that. I’ve been in about eight different shop locations in the past 18 years. I hope I never have to move again. 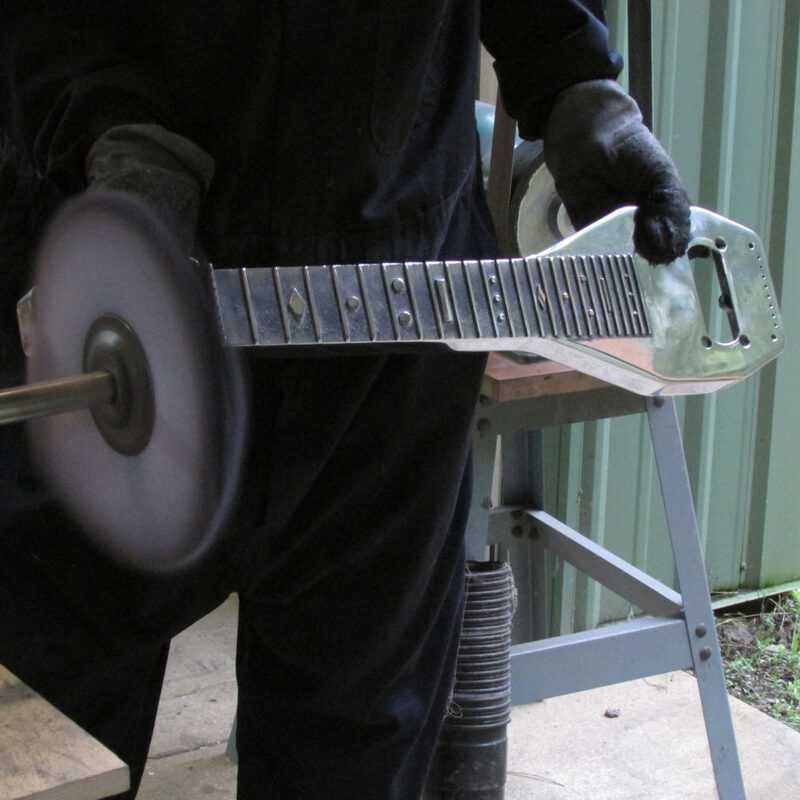 FJ: What’s the basic breakdown of your work: resonator versus Hawaiian, versus steel? 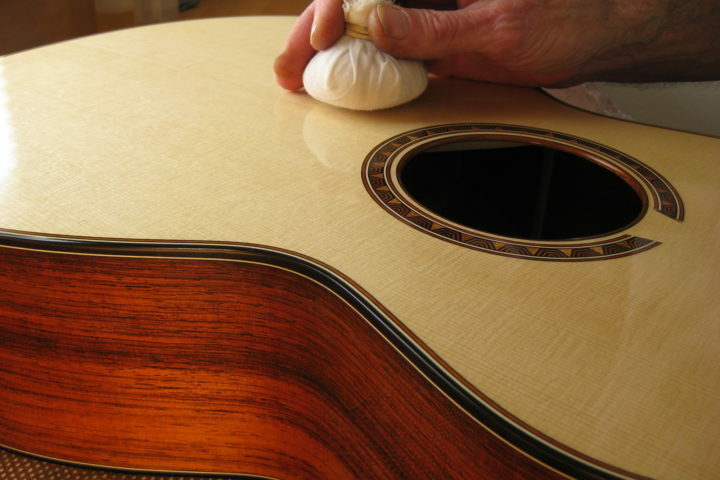 TC: I do not build Hawaiian-style or Weissenborn-style guitars anymore. I always referred to them as Hawaiian guitars as that is their origin. A lot of folks get caught up with the Weissenborn name, but he just got the popularity for mass producing them. 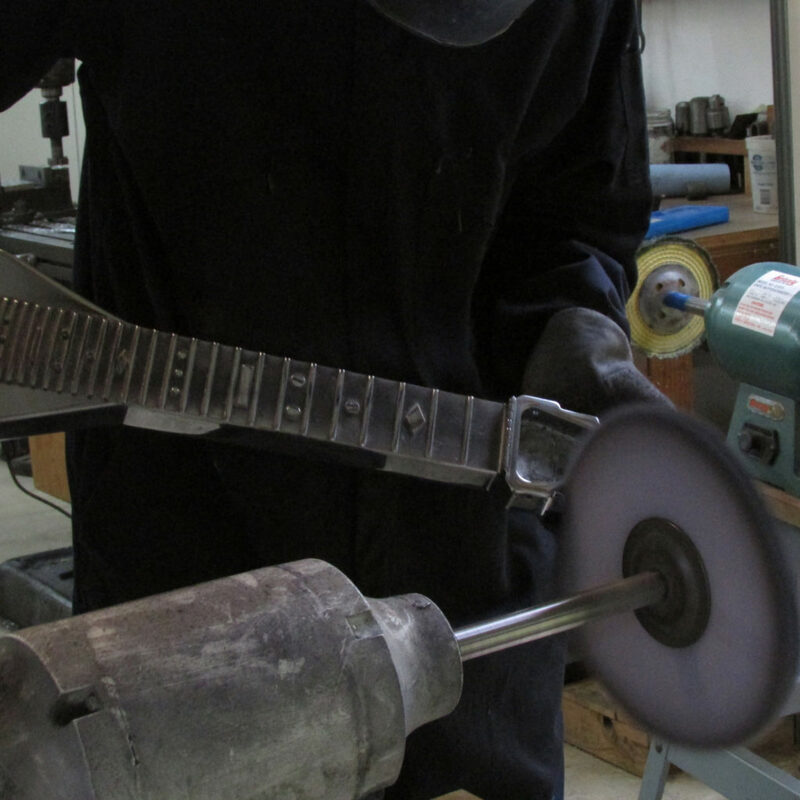 In my early days of building resonators, I had a decent amount of requests for a Hawaiian-style guitar. Once again, there were not a lot of guys building them. I built about 10 in total over a few years. Once I started building steel guitars, I stopped taking orders for them. I had a lot going on with resonators and steels, and as a one man shop I had a hard time with balancing the juggle of building a lot of styles of instruments. I enjoyed building them. The ones that I made with an arched top were amazing sounding instruments. 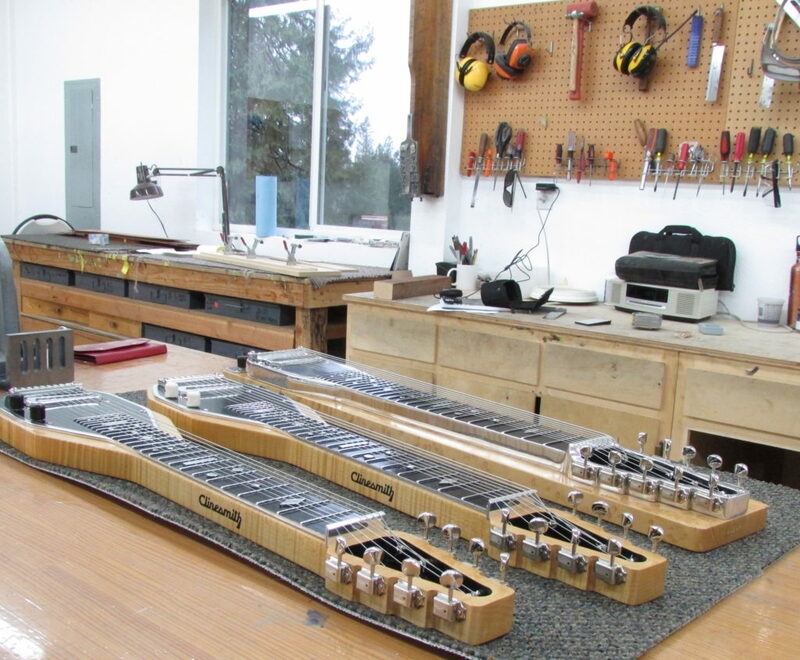 Now I mostly build steel guitars. 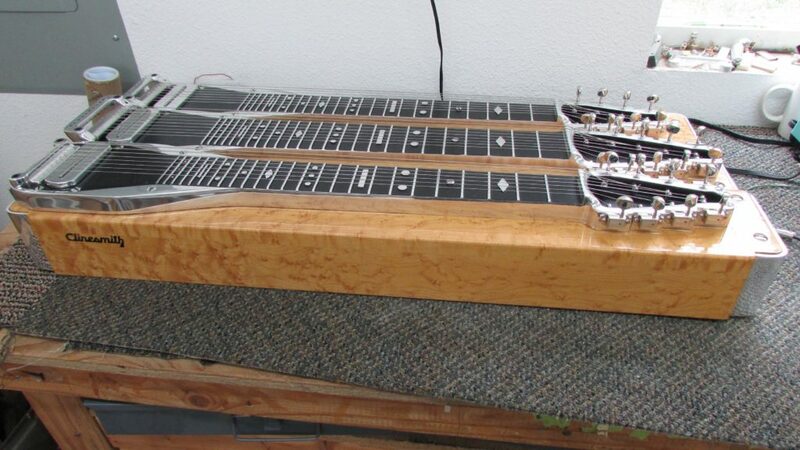 I have the lap steel models I talked about (plus a few more), as well as console, double and triple neck steels I build in the Paul Bigsby design. I build anywhere from four to eight resonator guitars a year. FJ: Do you have a particular philosophy about materials? TC: I would not say I have a particular philosophy about materials. I know what works well with my pickups. I know I like a balance of mass and resonant wood or aluminum in certain areas of the guitar. Though, for the steel guitars, I love the classic design Paul Bigsby came up with: Birdseye maple and cast aluminum. The resonance of the cast aluminum paired with the bright, and solid tone of hard rock maple is hard to beat. Having the densities and hollow sections in the cast aluminum in the right places effects the tone and sustain greatly. It is a balance I have worked on, and am still working on in other designs. 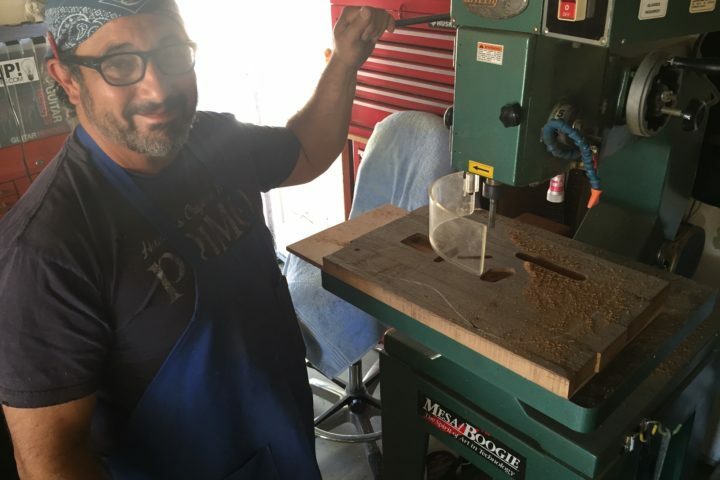 The same rule applies to wood –I chamber some of my wood in a few of my lap steel models, but I always keep the instrument solid from the nut through the pickup and to the bridge. TC: I have quite a few new projects in the works. Either in the back of my mind, on paper or in some shape or form around the shop. As a one man shop, it is a balance between keeping the future in sight and most importantly the present rolling along, but the new work on the horizon is what keeps me up at night, and keeps me in the shop for those extra few hours. I have three six-string prototype lap steels with the more contemporary player in mind. I have had these in the works for about nine months, and just work on them as time allows. I have a new square neck resonator guitar design I am working on as well. On paper, I am working on another variation of the Joaquin D-8, though based on P.A.’s 1944 design. 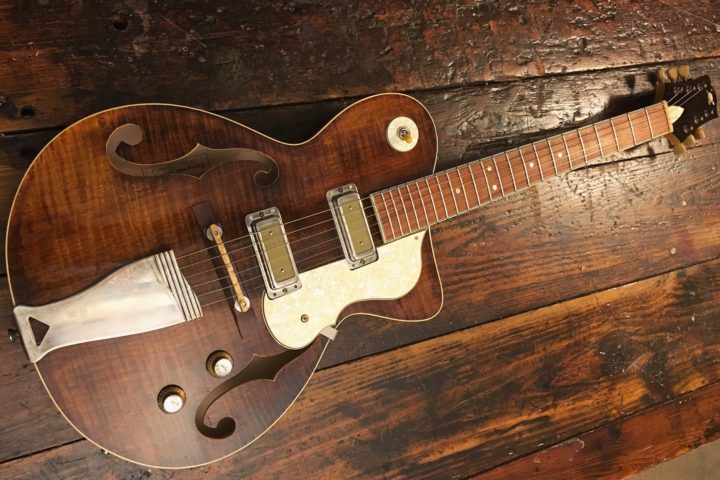 This was Joaquin’s first of at least four Bigsby instruments, and probably Paul Bigsby’s second or so guitar. I’ve been winding some of the early Sho-Bud-style pickups for some players looking for that late ‘50s and early ‘60s sound. A lot of folks don’t know, but those real early Sho-Bud Permanent steels had a different pickup than the Sho-Buds from a few years after their start. I didn’t know it either ‘til I got a hold of one and was blown away by the tone. It’s an amazing pickup. They were built by the company who made the Stratosphere guitars for Jimmy Bryant. They have a bright high-end with super tight mids and string separation. A lot of clarity. That sound has for some reason been abandoned by modern pedal steel players–maybe they don’t know it exists. I do think that vintage sound is seeing a bit of a resurgence. I’ve thought about building some late-’50s/ early-’60s style steels with simple pedal changes. 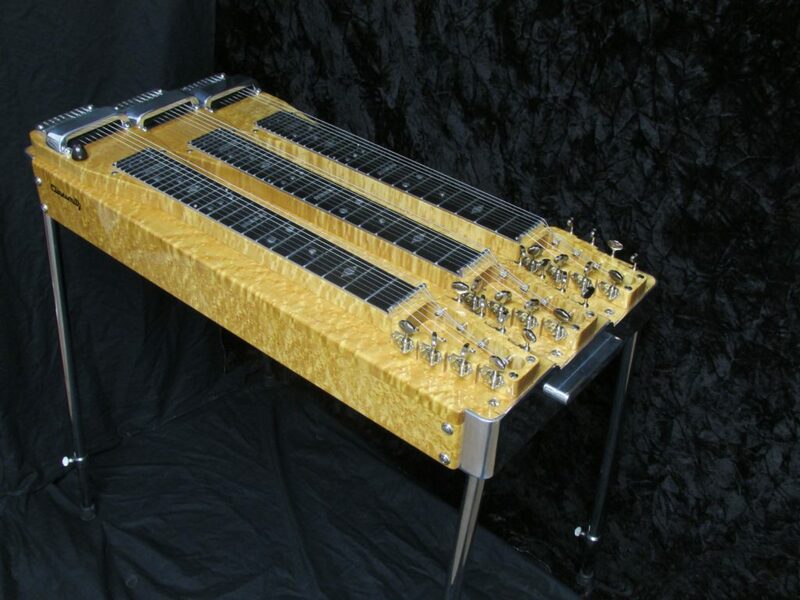 The steel guitar world is tiny, and the little niche of vintage style players is even smaller. It’s a labor of love, I guess.